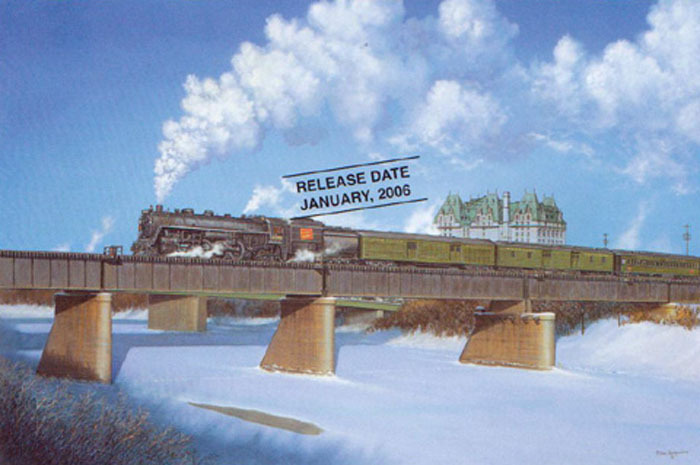 Image Size: 6" x 9" Framed Size: 11" x 14" Just out of Union Station a section of the CNR`s 'Continental' slowly gathers speed as it crosses the bridge over the Assiniboine near the junction of the river with the larger Red River. The chateau style building in the background is the Fort Garry hotel, built by the Grand Trunk in 1914. The bridge and hotel are still in use,and the skyline has grown considerably since this early 1950's scene.